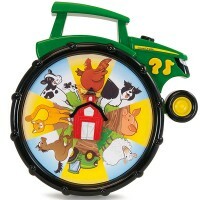 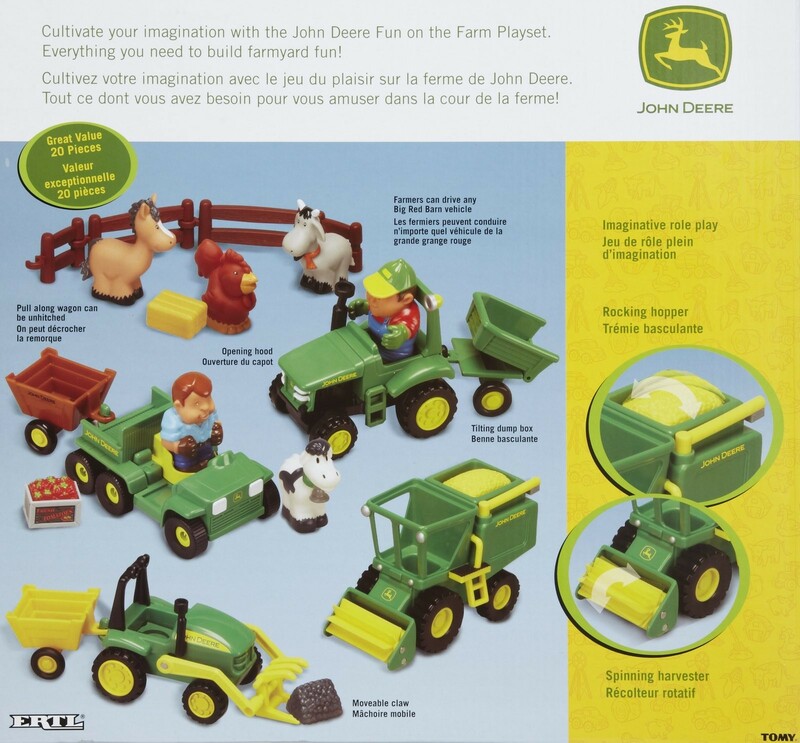 Fill your play room with farm tractors vroooom and barnyard animal sound as your toddler plays with this 20 pcs Farm Playset by John Deere. 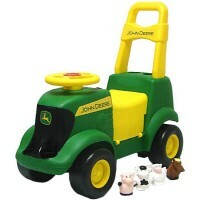 This farm vehicles set is your little boy's dream toy! 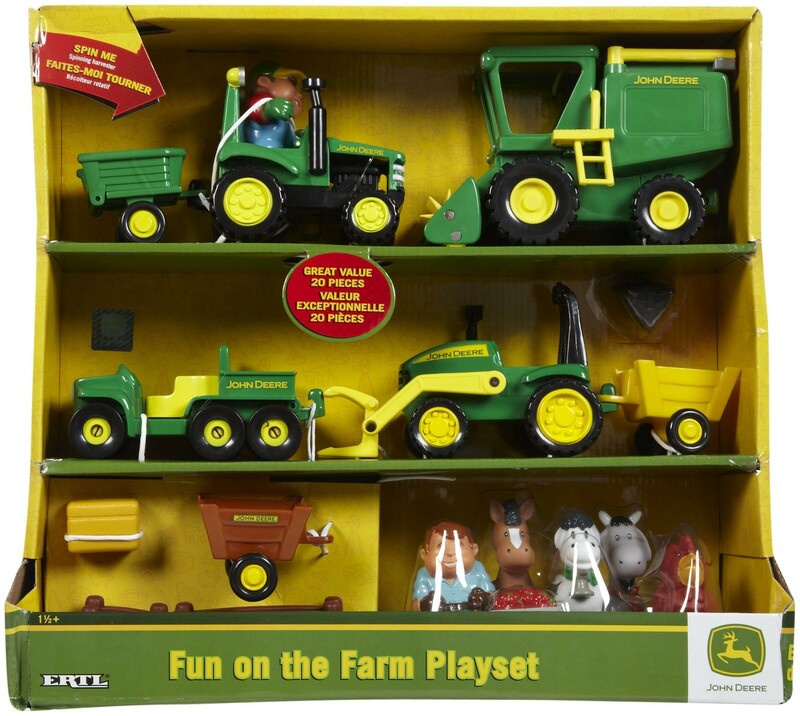 John Deere Farm Vehicles Toddler Playset comes with so many play tractors, toy figures, and accessories, that kids can play farm for hours! 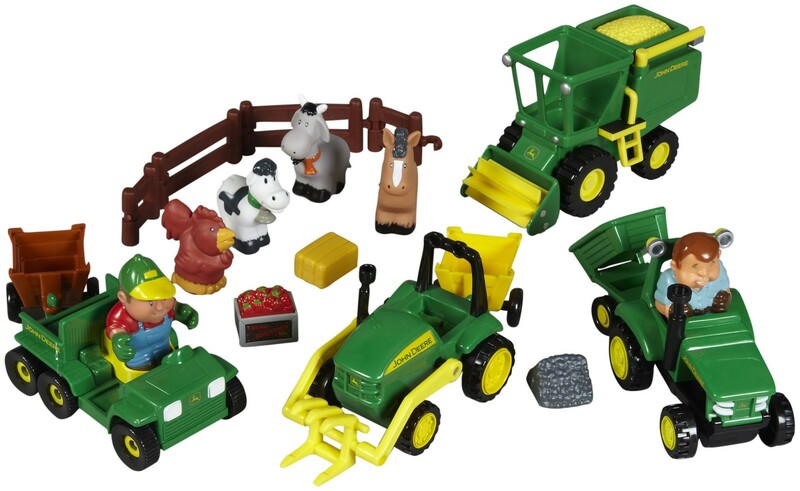 John Deere Farm Vehicles Toddler Playset has 20 pieces including 4 toy farm vehicles, 5 animals, 2 farmer figurines, 4 fence pieces, and fun barnyard cargo. 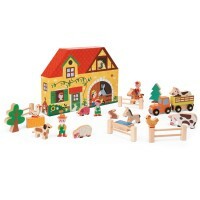 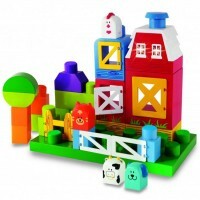 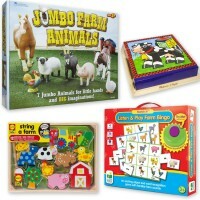 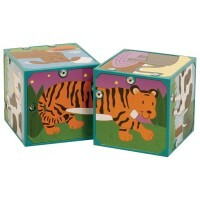 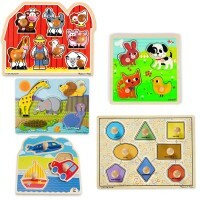 Separate a horse, a cow, a sheep and other barnyard animal figures with the fence. 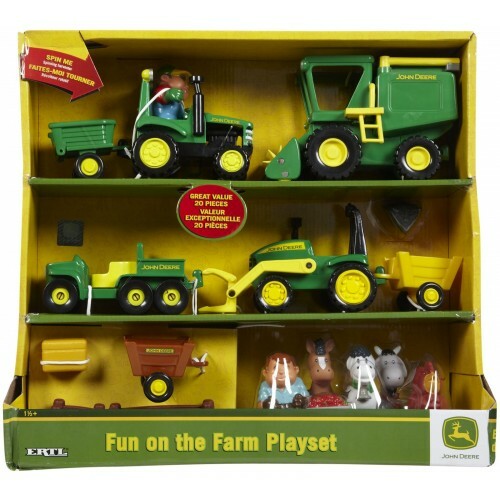 Gather crop, bring hay for the animals, clean the farm, and do all necessary farm work with the toy combine, gator, tractor, and front loader. 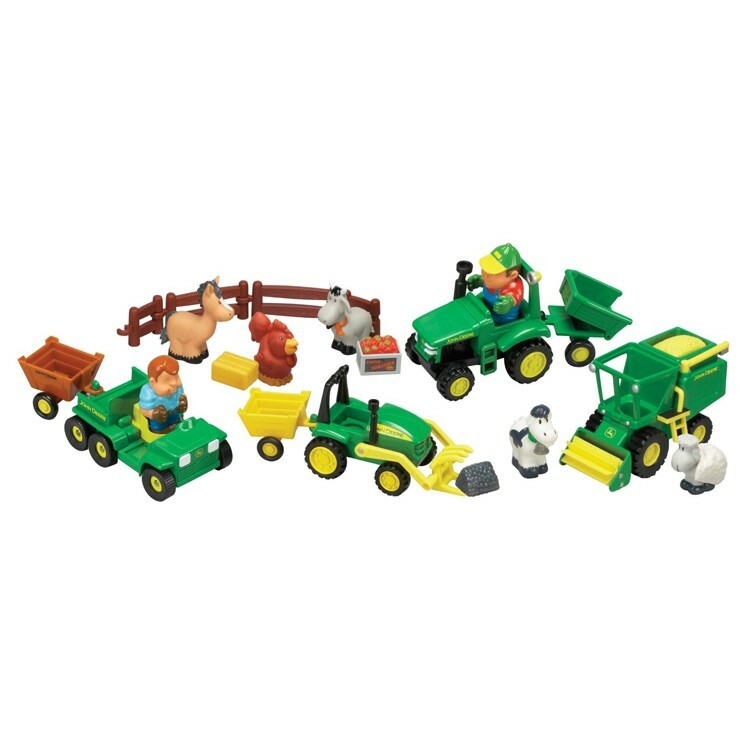 Two friendly farmers from this kids farm playset will work hard driving various farm vehicles, and doing all farm chores. 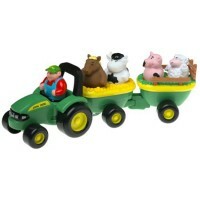 John Deere Farm Vehicles Toddler Playset from Educational Toys Planet will sparkle your boy's imagination and introduce farm duties to the little farmers. 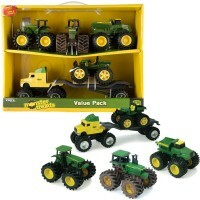 Dimensions of package 5.5" x 15.25" x 16"
Write your own review of John Deere Farm Vehicles Toddler Playset.